Kids Strictly Ballroom Workshop – This Friday! Surrey Dance School is running its hugely popular junior Strictly Ballroom & Latin Dance Workshop this Friday evening (October 21st), from 5-6pm at St Peters Hall, and there are still a few spaces to fill for budding Strictly contestants! This incredibly fun one-hour special is taught by professional Latin and Ballroom dance teacher, Jemma Girling. There will be a performance at the end for parents! 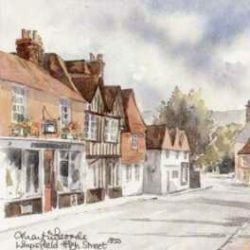 Venue: St Peter’s Hall, Limpsfield. Contact: Tarryn at Surrey Dance School – 07515732504 or email tarryn_owen@hotmail.com.